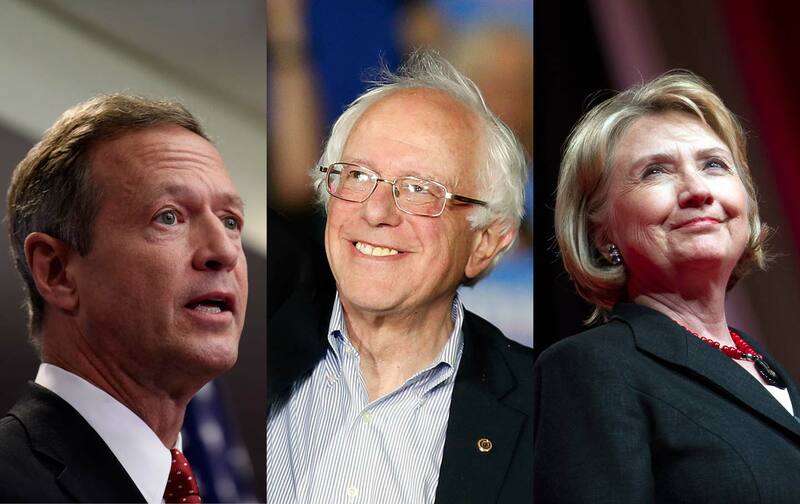 A key progressive group is voting this week on whether to back Clinton, Sanders, or O’Malley. Before media and political elites began to understood the potential for online activism, MoveOn was doing it. The group, which was forged in the 1998 fight to get Congress to “move on” from petty-yet-divisive wrangling over the impeachment of Bill Clinton, and which expanded into a political force of national and international significance during the struggle to avert the war in Iraq, MoveOn has for almost two decades set benchmarks for digital activism. Yet only once has MoveOn made an endorsement in a contest for a Democratic presidential nomination. In February 2008, when that year’s primary race was at its most competitive, MoveOn members voted 70-30 to back the insurgent candidacy of Illinois Senator Barack Obama over that of New York Senator Hillary Clinton. Four years earlier, former Vermont governor Howard Dean beat Ohio Congressman Dennis Kucinich and Massachusetts Senator John Kerry in “the MoveOn primary,” but fell short of the threshold to secure an endorsement. In 2008, MoveOn backed Barack Obama. Will the group endorse in the 2016 Democratic race? Now MoveOn members are voting again, in online balloting that began Thursday and will extend through Sunday. “Here’s your official, personal ballot, where you can vote now for your choice—Hillary Clinton, Martin O’Malley, Bernie Sanders, or no endorsement,” read the message that went to MoveOn members Thursday afternoon. MoveOn has significant capacity to do that work, not just in the first-caucus state of Iowa and the first-primary state of New Hampshire but in states across the country, including Southern and Western states where progressives are not always so well-represented or well-connected. It also brings significant resources to the process, along with a commitment to run “a 100% positive campaign” on behalf of its endorsed candidate. Because the MoveOn endorsement is a consequential one, the threshold to secure it is high. To win a MoveOn endorsement, Clinton, Sanders or O'Malley must secure two-thirds on the online votes cast this week. In recent online votes by other groups, Sanders has achieved high percentages. When Democracy for America voted in December, the senator from Vermont won 88 percent, and the group’s endorsement. Earlier in the month, when the Working Families Party members voted online, he won 87.4 percent. The WFP also endorsed Sanders, as have Progressive Democrats of America and Democratic Socialists of America. Sanders has also won endorsements from unions such as National Nurses United, the American Postal Workers Union, and the Communications Workers of America, as well as the environmental group Friends of the Earth. Clinton has won a number of major labor-union endorsements, including those of the Service Employees International Union, the American Federation of State County and Municipal Employees, the American Federation of Teachers, and the National Education Association. The former secretary of state is also backed by the League of Conservation Voters, and just this week won the support of NARAL Pro-Choice America. MoveOn plans to announce its endorsement decision Tuesday, January 12.